Georgia Tech has been chosen as the Coordinating Office for the National Nanotechnology Coordinated Infrastructure (NNCI) program. 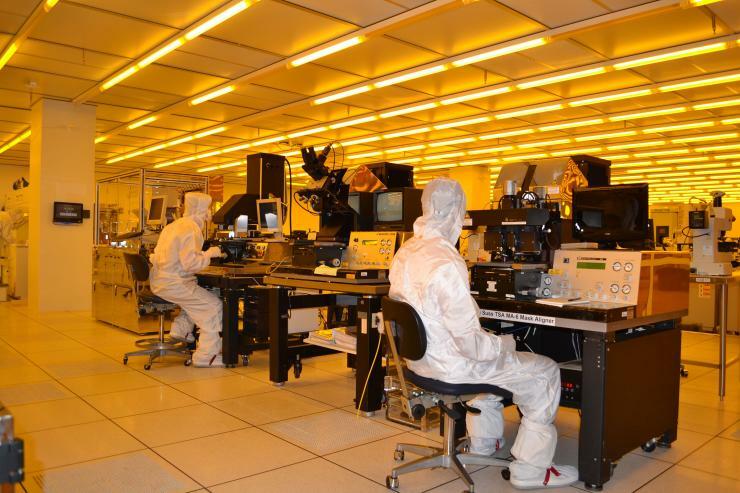 Shown are clean room facilities in the Marcus Nanotechnology Building at Georgia Tech. The National Science Foundation (NSF) has selected Georgia Tech’s Institute for Electronics and Nanotechnology (IEN) to be the Coordinating Office of the National Nanotechnology Coordinated Infrastructure (NNCI) program. Georgia Tech will receive $3.5 million over five years for this role. The NNCI is comprised of 16 sites, located in 15 states and involving 27 universities. This national network provides researchers from academia, government and companies with access to university user facilities with leading-edge fabrication and characterization tools, instrumentation and expertise within all disciplines of nanoscale science, engineering and technology. The 16 network sites, announced by NSF in September 2015, will receive $81 million over five years. As one of the NNCI sites, the Southeastern Nanotechnology Infrastructure Corridor (SENIC) combines state-of-the-art nanotechnology fabrication and characterization resources and expertise at the Georgia Institute of Technology and the Joint School of Nanoscience and Nanoengineering, an academic collaboration between North Carolina A&T State University and the University of North Carolina at Greensboro. 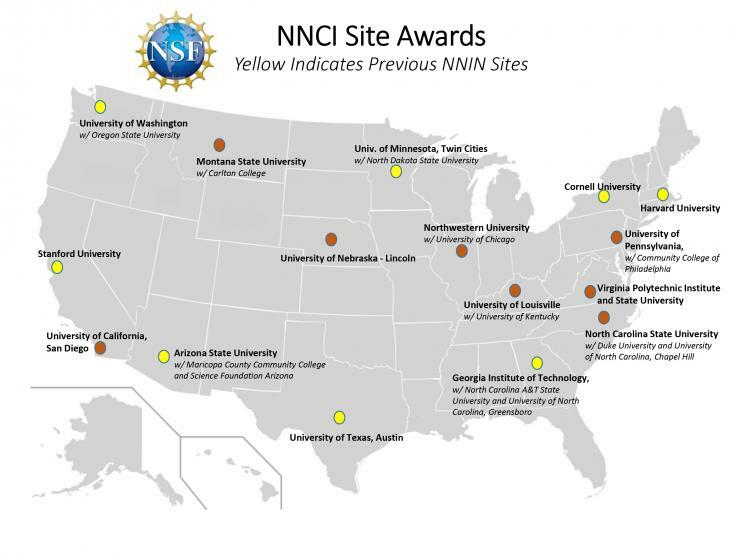 “The goal of the NNCI Coordinating Office is to increase the visibility, impact and efficiency of the network and its sites as a national nanotechnology infrastructure resource,” said Oliver Brand, director of the IEN and professor in Georgia Tech’s School of Electrical and Computer Engineering. According to Brand, who will direct the NNCI Coordinating Office, an interactive web portal will assist users in finding NNCI fabrication and characterization resources to meet their research needs. The initiative will use the expertise of site staff to facilitate programs and share best practices in education and outreach, social and ethical implications, and computational modeling and simulation across the network and help provide linkages with other national and international nanotechnology resources. In addition to Brand, David Gottfried, IEN principal research scientist, will serve as deputy director of the NNCI Coordinating Office; Nancy Healy, a senior academic professional at IEN, will coordinate the NNCI education and outreach programs; Azad Naeemi, an associate professor in Georgia Tech’s School of Electrical and Computer Engineering, will coordinate the NNCI modeling and computation activities; and Jameson Wetmore, an associate director within the Center for Nanotechnology in Society at Arizona State University, will facilitate the NNCI societal and ethical implications programs. “With the support of the NNCI Coordinating Office at Georgia Tech, the NNCI sites can now truly function as a national network of user facilities, which we expect to lead to American innovations with economic and societal benefits,” said Lawrence Goldberg, NSF NNCI program director. 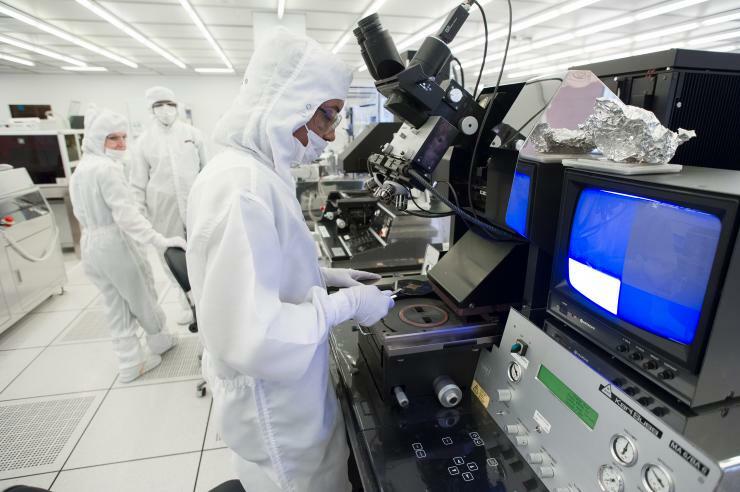 Supported by the Coordinating Office, the NNCI will train a globally competitive nanotechnology workforce and provide efficient access to resources for innovation and commercialization of nanotechnology. The network will also help to inform and educate the general public on fundamentals and advances in nanoscience and engineering and their social and ethical implications. Media Relations Contact: John Toon (jtoon@gatech.edu) (404-894-6986). This map shows the locations of National Nanotechnology Coordinated Infrastructure (NNCI) sites.